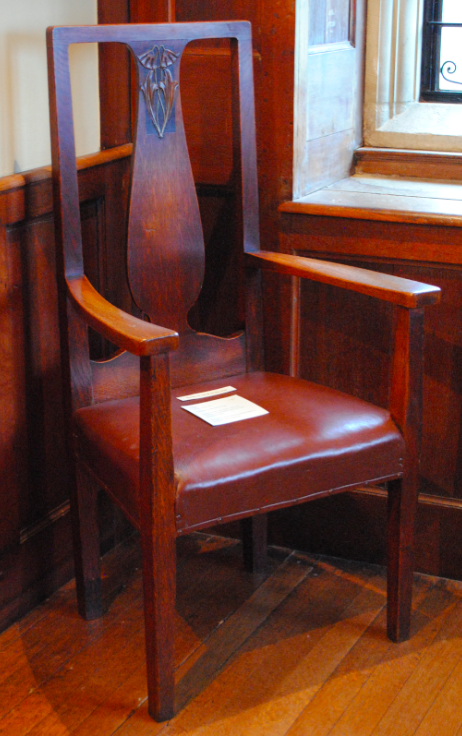 On display in Minstrels Gallery at Blackwell Arts & Crafts House is a chair designed by MH Baillie Scott. 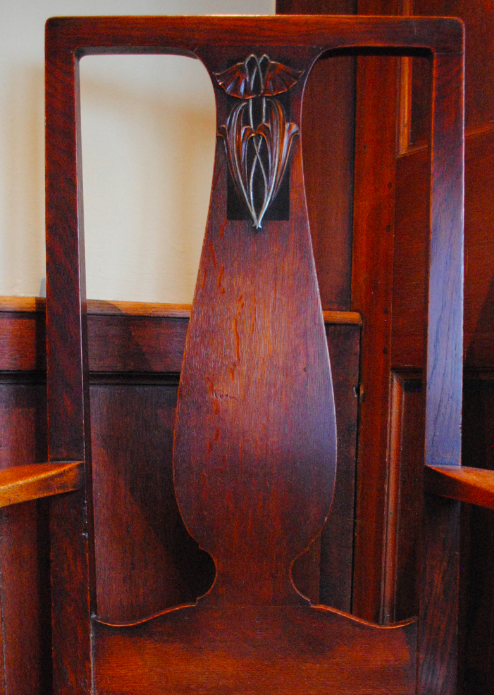 Dating to circa 1905, the chair is oak with pewter inlay and was manufactured by JP White. The chair is inlaid with harebells which was one of Scott’s favourite decorative motifs.